Whew... what a week it has been! This week has seemed to last for for-ev-er! It has been a hectic point at my day job, and we're still deep into the construction, demolition, remodel of the house. There's always light at the end of the tunnel though. My day job will calm down a bit, and when the house is finished, it will be really nice. Hubs and the crew have completely redone the living room, including knocking out a wall between the living room and a spare bedroom. They moved the front door, tore out walls, put up insulation and drywall, and more. Yep, they've been especially busy. While we haven't needed to shop for toilets with this remodeling project, I am getting a nice picture window and a well-insulated house, which will not only keep me from whining about being cold in the winter, it will also keep me from whining about the outrageous electric bill. So, that's all good. I was going to take photos of the project as it moved along, but it is SOOOOOOOOO dusty there is no way I'm taking my camera in there. I'll take pictures for you when it's all done and not dusty anymore. Oh, and speaking of lights at the end of the tunnel... my Camera-Critters photo for this week is in anticipation of spring... which is right around the corner! WooooHoooo!!! Spring is SPRINGING! I'm always in awe of dragonfly photos ... I just can't catch one at rest long enough to get a shot! Beautiful capture, misty! The wings do look lacey! Very summer-like. Great photo. Boom & Gary of the Veremilon River, Canada. love the pic! how can something so creepyish also be so pretty? Wow - such an exquisite shot! 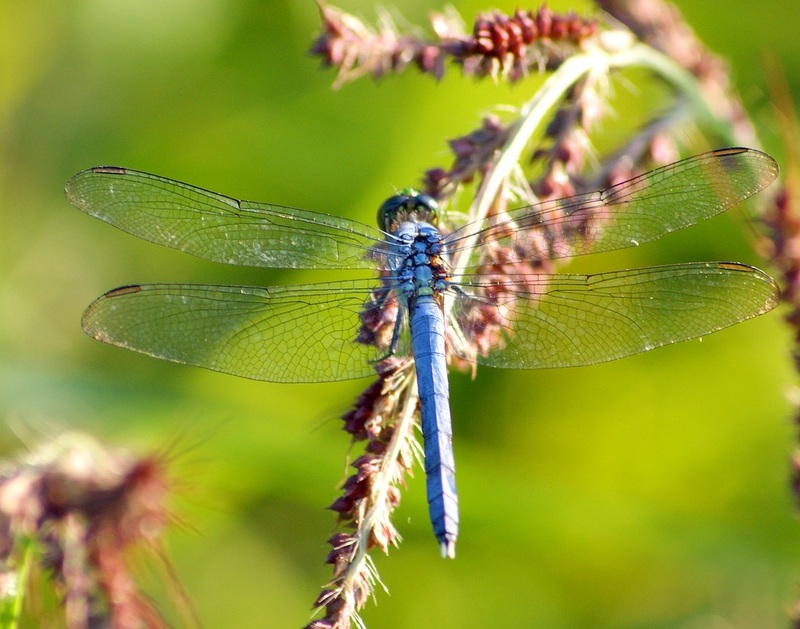 So happy to stop by and see a dragonfly photo, Misty. It's the critter I most associate with you now. I think people who stay in their homes during remodeling are really brave. I think all that dust would make me crazy! Can't wait to see pics of the finished product! Ohh...there she is...(Roni raises a finger in your direction)...ohhh...there she goes..too late. lol:) Misty, how the heck do you do it? You live such an insanely busy time and yet you still always find time for others. I need a little of that, can you blow some in my direction? ;-) I hope you are having a restful weekend. You're in my thoughts! And I commented on this shot on flickr but I'll do it again. It's elegant and gorgeous. Nature does it so perfectly...doesn't she? I'm with you on the spring being just around the corner. I can't wait! The lilac bush outside actually has leaf buds and our Bradford Pear tree is going to have leaves soon. It's supposed to be 70 today, but we are having thunder storms. Can't have everything I guess. Love your shot of the dragon fly is perfection.